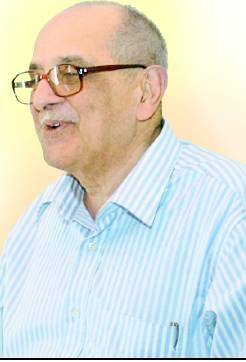 For The Record: Fali Sam Nariman. An interview with the Times Of India. TOI: You received a lot of flak for appearing for Union Carbide in the Bhopal gas leak case. Given your credentials as a human rights defender, do you, in retrospect, wish you hadn’t accepted that brief ? TOI: What is your take on the controversial Supreme Court verdict of 1996 reducing the liability of Carbide officials from culpable homicide to death caused by a rash or negligent act? FSN: I have no “take” on what, after 15 long years, has now become, as you say, a “controversial Supreme Court verdict”, especially after a very distinguished retired Chief Justice has publicly expressed his own views. You say that Soli Sorabjee became attorney general of the Vajpayee government after you declined the post. In what seems like a counter disclosure, Sorabjee has said you got the Carbide brief after he declined to take it. Is this mere rivalry between two Parsi legal eagles? rivals, but now, in the evening of our lives, we are friends.” Please don’t disturb us in the evening of our lives! What is it about your tiny Parsi community that has it churning out legal luminaries? FSN: There is one thing about “our tiny Parsi community” that you must know, which is that to us (or at least to most of us) the one thing greater than being a Parsi is being an Indian. I am proud of the fact that our community rejected the offer made at the time of drafting of India’s Constitution — to Anglo Indians and Parsis alike — to have, for at least 10 years, one special representative in Parliament. Sir Homi Mody said in the Constituent Assembly that Parsis would rather join the mainstream of free India. And we did. We have no regrets. I must also tell you that the “tiny Parsi community” not only churns out legal luminaries, but produces geniuses in the medical field as well. As to how it is that we have been formidable in the legal and medical world, I just cannot say. But I like to think that it is because of our religion — a religion of good morals, which Parsi Zoroastrians find difficult to explain, but easy to live by. Though the case that laid down the existing system of judicial appointments is one of your biggest triumphs as a lawyer, why do you now say you would have preferred to lose it? TOI: I would have preferred to lose the case because of my extreme anguish at the current state of ground realities in the matter of appointments of Justices. It’s interesting that you appear to believe that the two most influential judges of the Supreme Court so far have been Justice Subba Rao for his political agenda and Justice Krishna Iyer for his social agenda. Why? FSN: Because these two judges showed to their generation of justices, and the generation after that, as to how to approach cases that came before the highest court. It is because judges with a political or social agenda are so few in number that they are long remembered. I have always considered it significant and beneficial for the development of the law in India that judges-without-an-agenda have been the more numerous. TOI: As a nominated member of the Rajya Sabha, your most important intervention was in suggesting that before investigating corruption allegations against senior officers, the CBI should get approval from the Central Vigilance Commission (CVC) rather than the government. Didn’t the rejection of your proposal show that all political parties are united in shielding corrupt officers? TOI: What prompted you to write an autobiography now? FSN: The constant requests of my friends and the persistence of my publisher. After being in legal practice for 67 years, I was at first reluctant to write about my professional life because of what C K Daphtary once told me when I pleaded with him to write his own memoirs. “What?” he said angrily, “shall I write one like Setalvad did?” He was referring to the autobiography of a great attorney general Motilal Setalvad — in part selfeulogizing. But I was getting on in age and getting forgetful as well, exemplified in that Mathew Arnold quote at the very beginning of the book: “And we forget because we must, and not because we will.” So I compromised. I wrote out the story of my life at the Bar trying to keep the old ego strictly under control. If I have not wholly succeeded, it is only because a man’s ego just cannot be suppressed!